Ningbo Maritime Court has sold five vessels of bankrupt Wenzhou Shipping through online auctions on Taobao. 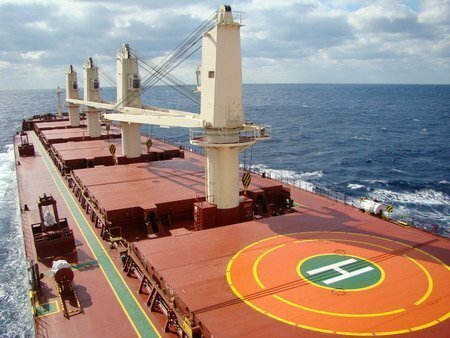 Supramax bulker Zhe Hai 167 was sold to Shanghai Shenlong Shipping for RMB67m ($9.7m), handysize bulker Zhe Hai 162 was bought by individual Li Chunzhen for RMB50.2m ($7.3m), and another handysize bulker Zhe Hai 156 was acquired by Tanshan Dongfang Shipping for RMB33.8m ($4.9m). A tugboat and a barge of Wenzhou Shipping were also sold in the auctions. Wenzhou Shipping, a subsidiary of state-run Zhejiang Shipping Group, went into liquidation in October 2016. Its sister firms Taizhou Shipping and Wuzhou Shipbuilding also went bankrupt.